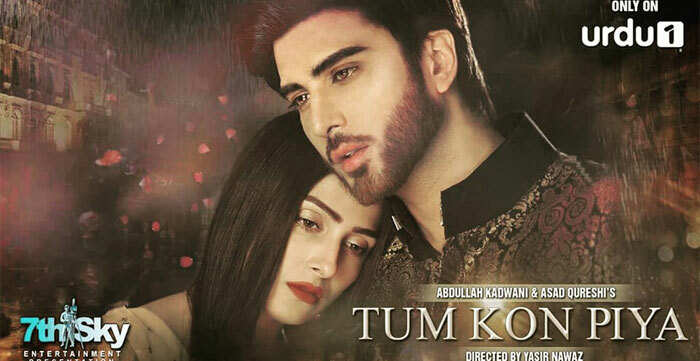 Download OST of Tum Kon Piya in MP3 format. It is one of the latest drama serial of Urdu1 whose title song has been sung by Rahat Fateh Ali Khan where the lyrics have been written by Sk. Khalish. The composition of Tum Kon Piya's title song has been done by Sahir Ali Bagga. The cast of Tum Kon Piya includes many popular names where Ayeza Khan and Imran Abbas are the leading cast. The promo of drama serial looks great. We hope that Urdu1 has brought something for us. We are seeing Ayeza Khan after a long time and it would be her first drama serial after her marriage where we have not seen Imran Abaas and Ayeza Khan together before.